20. To “Cognify” is to instill intelligence into something. Medical knowledge will increasingly be “cognified” into the Internet of Things and much of the world around us is made “smart” and data-aware. This is good, and will free people to care for themselves where they want to receive care. 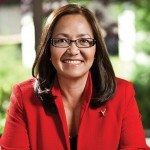 Sue Siegel, GE Ventures, Licensing & Healthymagination, GE. We are at the cusp of “cognified care” – a new era in healthcare. Advanced technologies and the rapid adoption of Electronic Health Records (EHRs) are enabling the physical world to merge with the digital, leading to explosive growth in the volume and quality of clinical data. 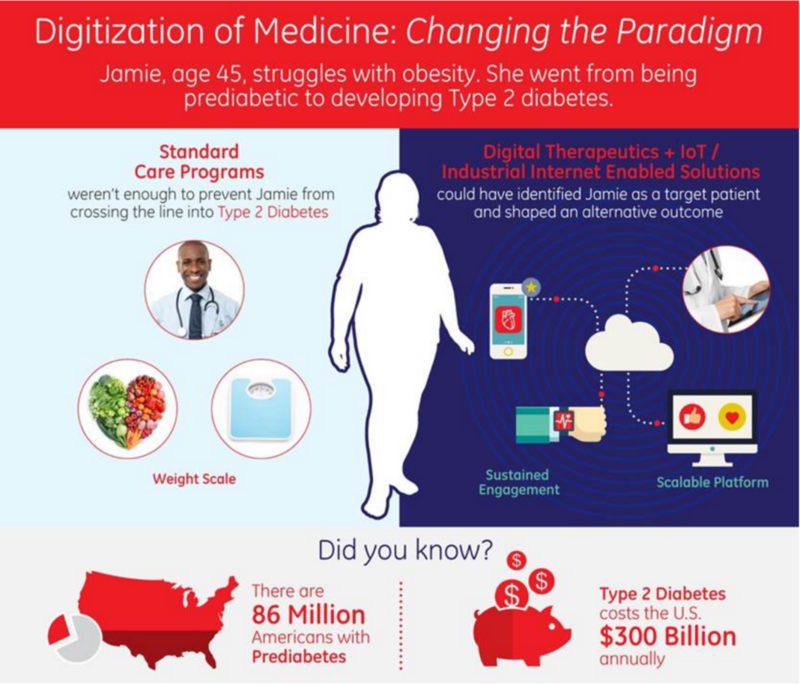 Cognified care is the application of analytics to transform this newly available, digitized clinical data into knowledge that can revolutionize healthcare (see the example of Jamie). The emergence of smartphones and the app economy have led consumers to expect convenient, high-quality service in multiple industries -- retail, travel, education, media, and entertainment, among others. This same revolution has not happened yet in healthcare, but it is imminent thanks to cognified care. The result will be a transformation of healthcare, leading to four major benefits: 1) personalized care, 2) a value-based system, 3) care anywhere, and 4) improved outcomes. In this election year, we are frequently reminded of the unsustainability of the old way of providing healthcare. The US spent $3 trillion on healthcare in 2014 for results that lag other industrialized nations in areas such as infant mortality and care of chronic disease. Cognified care will facilitate the shift to a value-based system of healthcare that should address some of this mismatch between outlay and outcome. 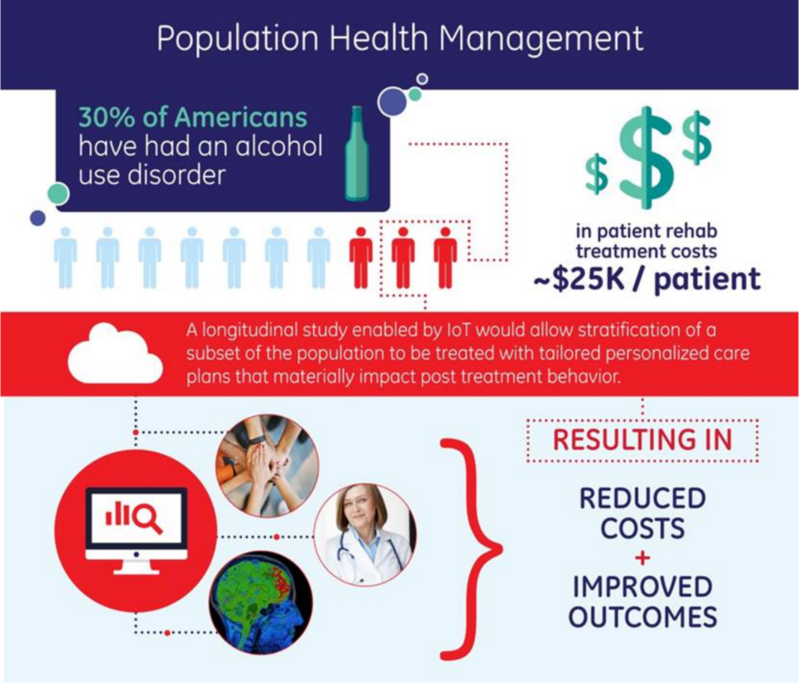 The availability of better population data will lower costs (see example on alcoholism) and lead to better healthcare. We all recognize the cost advantages of prevention relative to treatment of disease. One of the key benefits of population-level data analysis will be the insights necessary to identify a patient before they develop disease. These shifts are already happening. We are starting to see insurers move away from traditional fee-for-service systems that pay providers per transaction based on the number of patient visits and tests ordered. Value-based pay is imminent and is determined based on the overall value of care delivered – a world where outcomes matter. Providers are rewarded for keeping their patients healthier over the long term. This value-based care would not have been scalable without the digitization of clinical data and the cognification of healthcare. Another insight from the digitization of healthcare is the ability for patients to form communities. Until recently, patients with rare diseases were relatively isolated. Now there are online communities such as PatientsLikeMe that enable patients and physicians to more easily collaborate on cases, diagnoses, and treatment plans. This enables a more grassroots-level of cognified care that helps create and foster communities for the benefit of patient care. This then leads to my last two points: care anywhere and improved outcomes. In a cognified system, healthcare settings will move beyond the four walls of a hospital, giving rise to innovative new business models – a shift already in motion. Just look around at the growing numbers of “step down” facilities, the use of in-home connected care, and the rise of retail walk-in clinics. One of the more notable shifts has been how retail centers are now offering service delivery. Wal-Mart, Walgreens, and CVS have all conducted pilots of advanced healthcare kiosks or clinics in their drugstores. These are typically staffed by pharmacists, nurse practitioners and physician assistants, and do more than just administering flu shots and measure vital signs. They are increasingly expanding their services to perform annual physicals, help monitor a patient’s chronic condition, provide diagnostic consults, and offer health-and-wellness coaching. These step-down facilities offer care to patients more conveniently and less expensively than traditional hospital delivered care, while also adding a new line of business for the pharmacies. All these different care settings have been made possible through advances in technology such as the internet, machine learning, and telemedicine. These innovations not only help provide ubiquitous data availability but also enable healthcare continuity over time and across settings. This is helping the transition to the consumerization of healthcare: increased convenience, better patient tracking and behavior modification, and, ultimately, improved outcomes at a lower cost. To appreciate the power of cognified care, let’s take a look at the Basque Country of Spain, where a rapidly ageing population has strained the resources of a national public health service. In that area, older patients with chronic conditions drive 77% of the total health expenditures, and the cost of healthcare was expected to double by 2020. To stem those soaring costs, the region implemented a novel holistic care solution that was protocol-driven, moved the clinicians outside of the four walls of the hospital into the community and featured at its center essential cognified care capabilities. A cloud-based multi-modal communication hub captured remote sensing data, enabled on-call clinician access, drove pharmaceutical adherence and provided patient education. To effectively target the resources, a predictive analytics engine was used to identify those patients likely to land in the ER in the next three months and finally, a 24/7 call center ensured the coordination of clinician, therapy and patient to drive proactive care and respond to urgent needs. With the new system, nurses can now resolve more than 80% of health issues, emergency admissions for chronic patients have decreased, and home-based care has surged by nearly 50%. The result: an annual savings of $77 million over two years and increased patient consumer satisfaction!